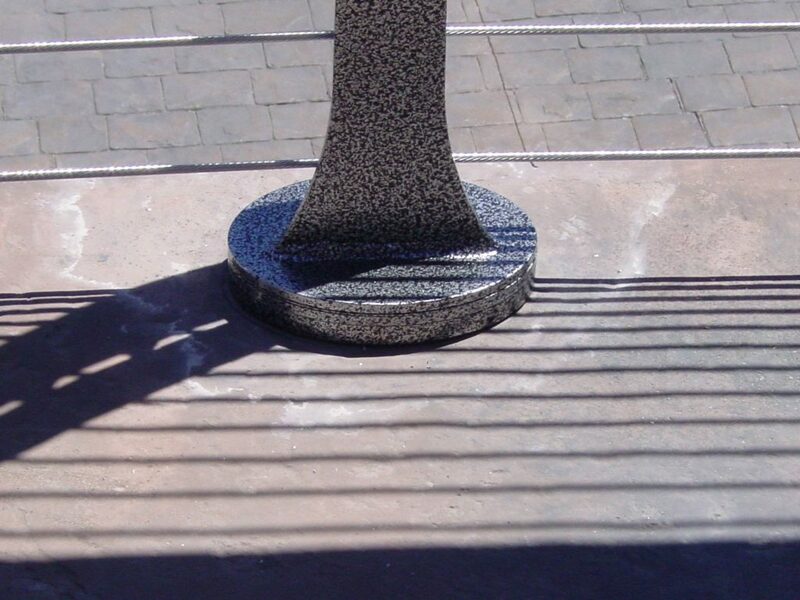 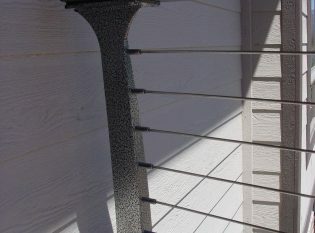 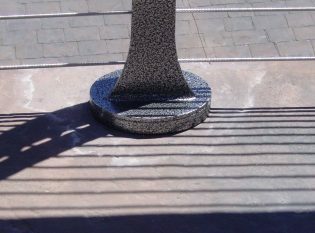 Material and Finish: "Silver Vein" powder-coated steel posts with matching aluminum top rail. 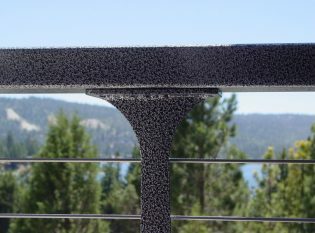 Description: Keuka Style cable railing on a concrete curved deck. 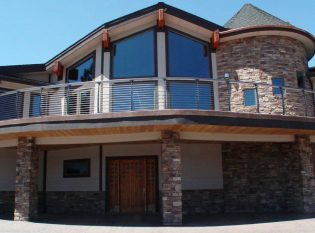 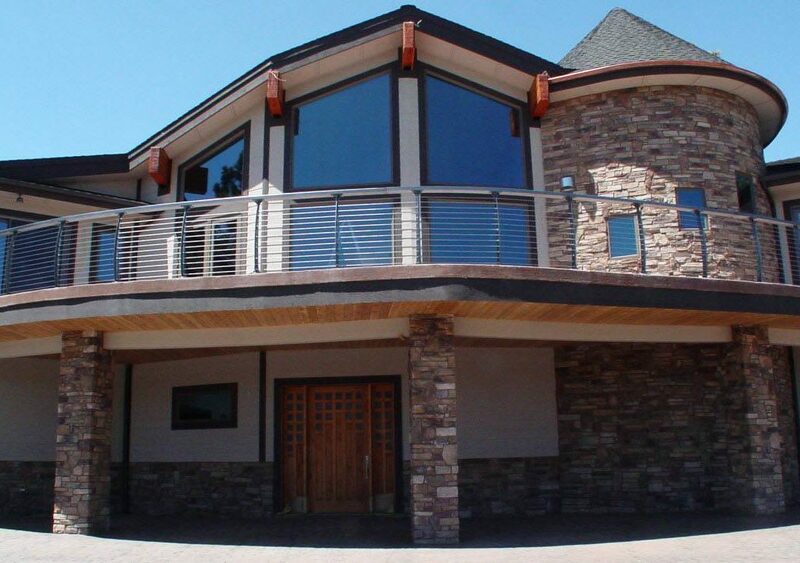 For their curved concrete deck with a stunning view of Big Bear Lake and the San Bernardino National Forest, our client decided to install a cable railing system that would preserve the panoramic vista. They chose our Keuka Style railing posts in “Silver Vein” powder-coated steel and an aluminum top rail to match. Although the concrete deck has an uneven surface, we were able to design a level top rail by using custom made powder-coated shim plates.